Be confident your harvest gets done. 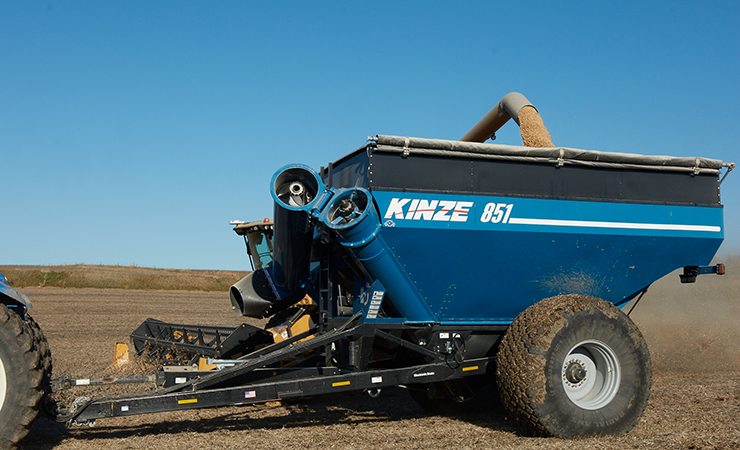 The Kinze 851 single auger grain cart sets the new standard for grain handling performance and dependability with great operating efficiency, reliability and ease of use, all while operating quietly. 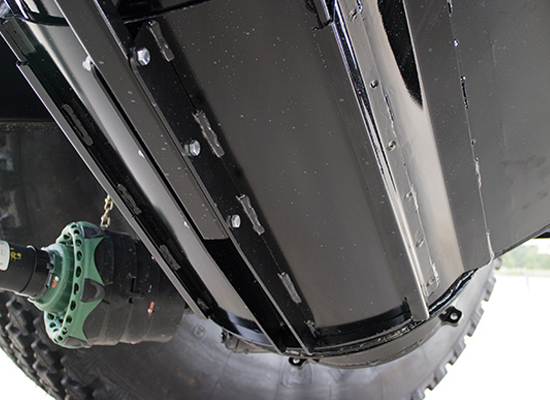 The hitch design provides industry-leading visibility to the combine spout—reassuring cart operators of all experience levels. The tub design allows for unobstructed grain flow and complete cleanout. 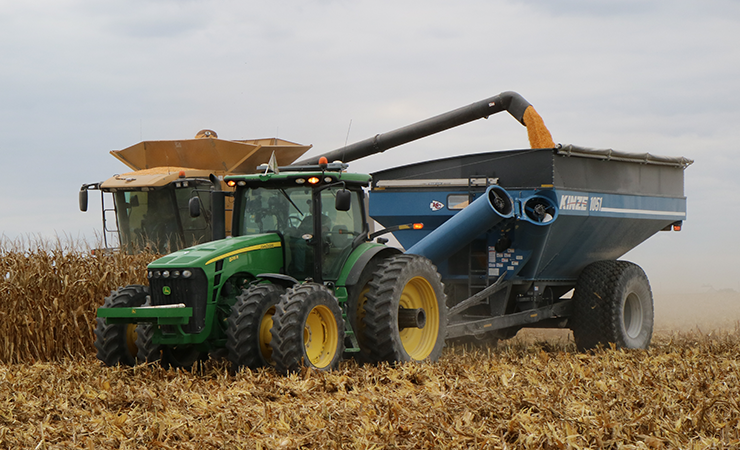 Building on the proven durability of the dual auger cart, it is designed to perform year after year, and season after season for great return on investment and trade-in value. 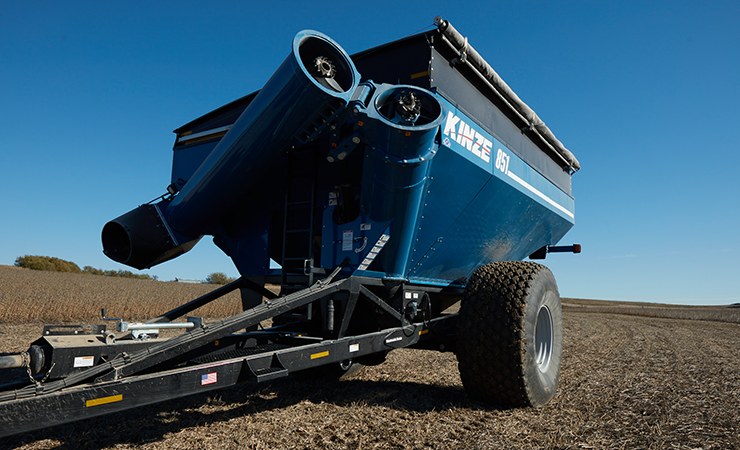 Every Kinze single auger grain cart comes with a 1-year warranty—protecting your investment. 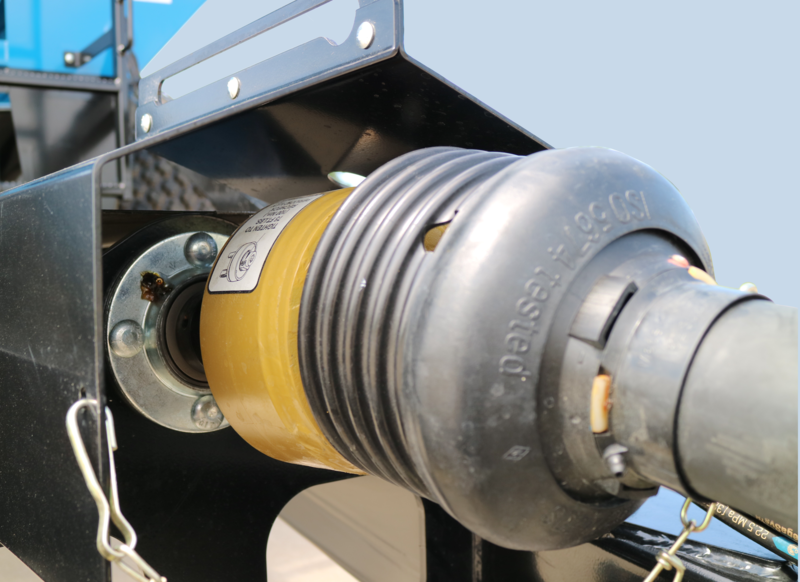 Cart capacity and hitch weight are based on #2 corn at 15% moisture (56 lb test weight). 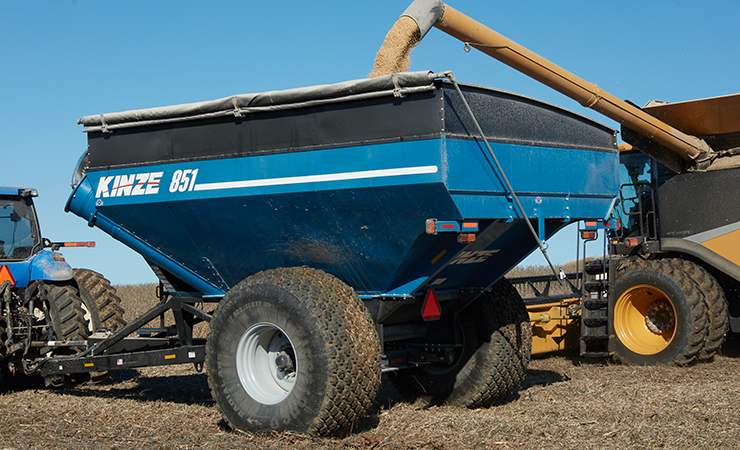 Cart capacity and hitch weight may vary based on crop type, grade, moisture and other environmental factors. Bushels per minute may vary with moisture content of grain and/or PTO rpm. Can’t decide? 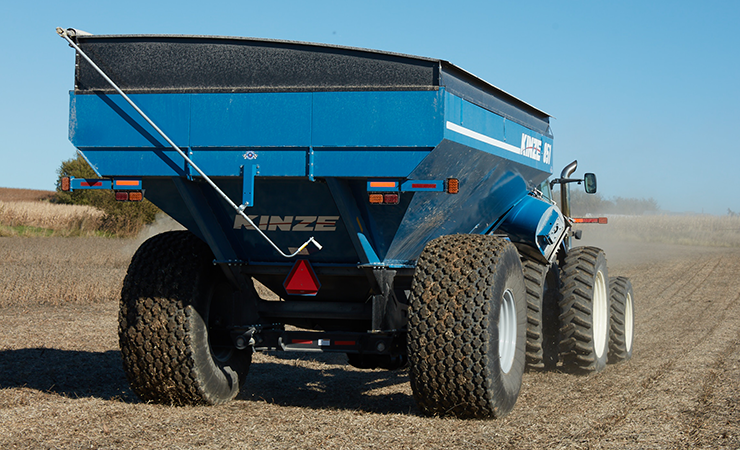 See all of our single auger grain carts side by side with basic details for each. The front folding corner auger and easy-to-maneuver frame design provide unmatched visibility. Combined with two front windows, lights on the spout and in the tub, and camera options, you will easily see the combine spout, cart spout and grain tank. 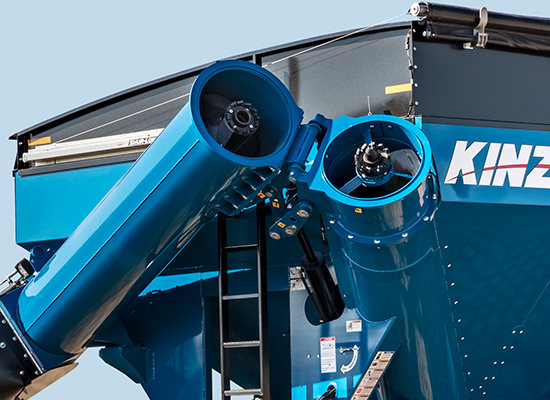 The maintenance-free and easy-open pit-dump door matches the contour of the auger housing, reducing the grain left in the auger and enabling complete cleanout. 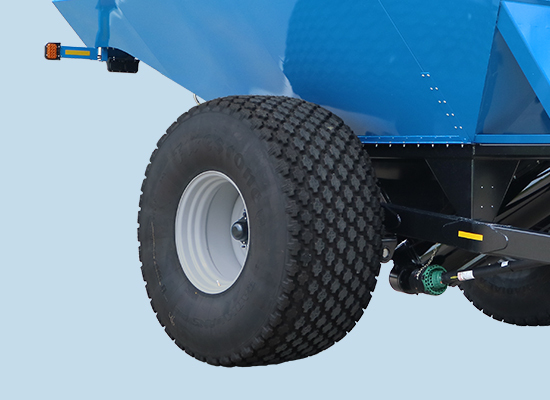 It is centrally located with high clearance to easily align with a hopper auger or pit dump for quick unloading. 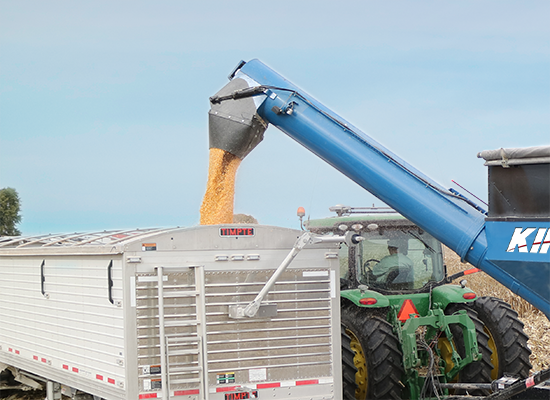 The hydraulically-adjustable flow gate and auger spout has a 42-degree range of motion providing controlled grain flow and precise placement. 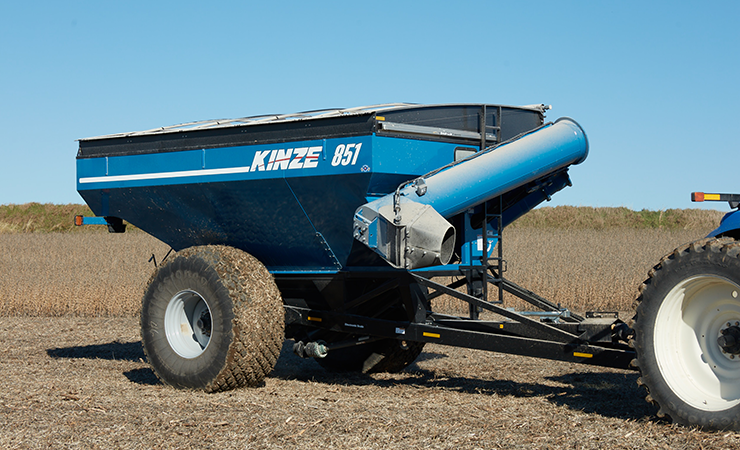 Both features are standard on all Kinze single auger grain carts. Select either diamond or lug tread low ground pressure radial tires. Standard 20-bolt hubs ensure the heaviest loads remain balanced while the lug tires provide great mud-handling performance.